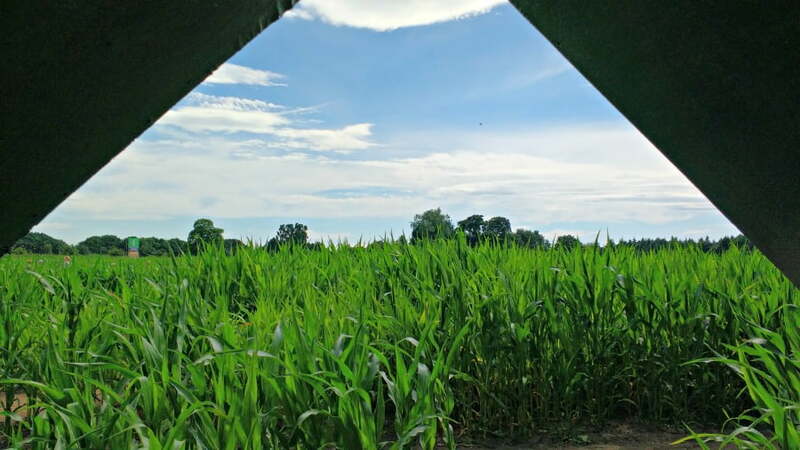 One of our favourite summer days out is to the York Maze, just outside the city of York. The first time we came, we were really surprised about just how much there is to do here in addition to the Maze itself. In fact, the Maze is only a small part of the attractions which are on offer, and most of them are suitable for toddlers and small children. This crazy house of optical illusions may not be suitable for babies and tiny toddlers who might get scared. However older toddlers, and toddlers with no fear, will absolutely love it. After the entering the ‘house’ you are led on a journey into the weird and wonderful world of optical illusions through gravity defying rooms and spinning worlds. How on earth, they create the optical illusions is beyond me, but it is great fun nonetheless. This is where we spent most of our day during our visit. This massive sand based play area is a dream come true for babies and toddlers. My toddler ran off towards it as soon as he saw it, and was happy as a sandboy playing in the sand, building dams, pumping water and just playing. Older children will love the Climbing Zone with more advanced climbing ropes. idea, as well as your own bucket and spade. We didn’t actually have time to go in this area but had we had more time, we would definitely have gone in there to do some building. 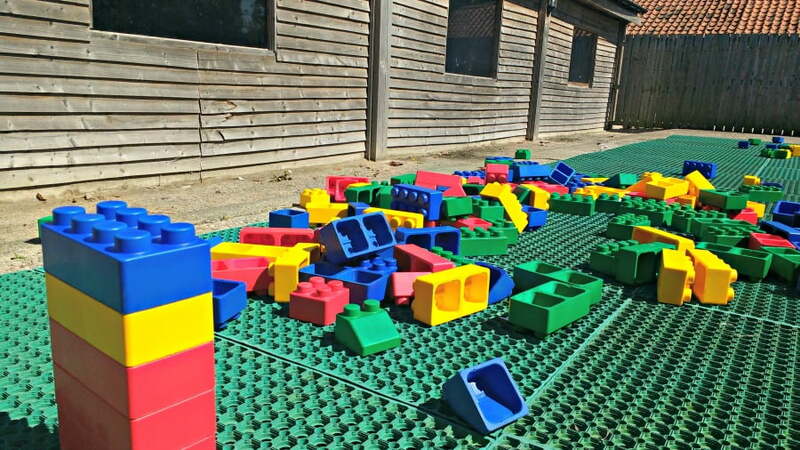 Basically, it is a free play area with lots of large ‘Lego’ bricks where you can make something amazing. What toddler doesn’t love a good bounce? There is a large jumping pillow at the York Maze, and entry is timed to make sure everyone gets a turn. Older children will love the higher, longer, steeper slides where you have to sit in a sack to get your speed up. 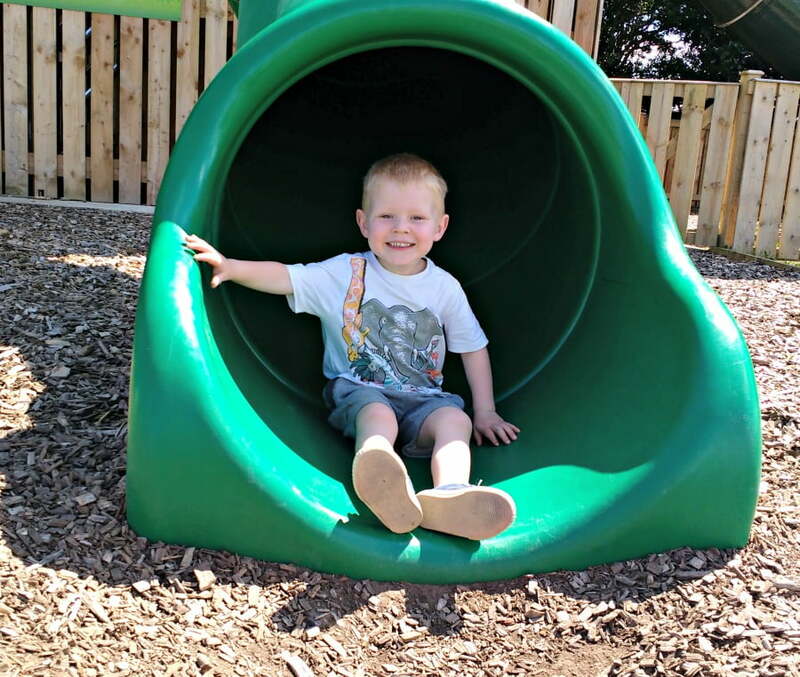 However, toddlers will love the smaller slide – I lost track of the number of times my toddler went on this. The Maze at York Maze is one of the largest in Europe. Each year, the maze is carved out into a different theme and this year it is based on characters from Roald Dahl books. 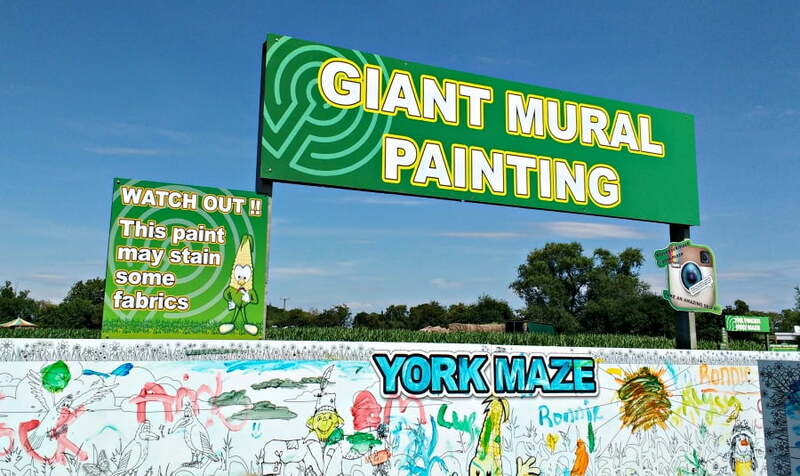 There is a BFG, a Willy Wonka and a Fantastic Mr Fox all carved into the maze – and when York Maze closes in September, the crop is fed to the farmer’s pigs. There are viewing stations so you can plan your route, but as anyone with a toddler will know – they don’t really follow plans so just enjoy getting lost. 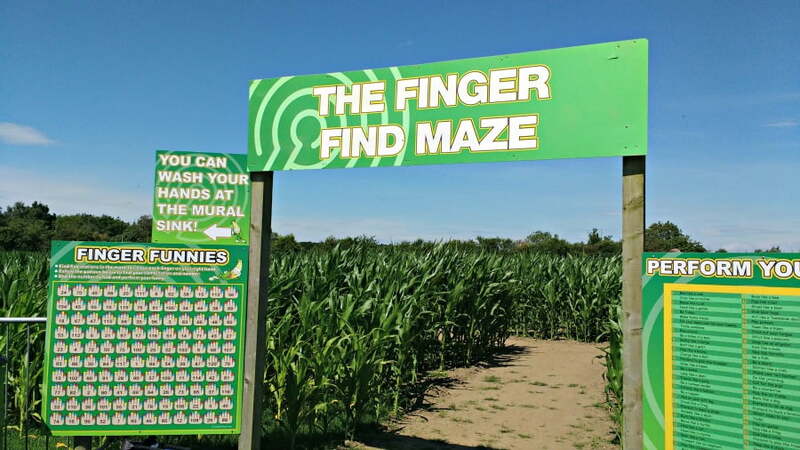 The ‘real’ Maze is very big, and lots of fun for older children and adults, but my toddler actually preferred the Finger Fortune Maze. This maze is on smaller scale, and you have to look for coloured paints located in the maze, and stick your fingers in them to make your fingers different colours. At the end, you can choose a task to do depending on the order of the different colours on your fingers. What toddler doesn’t like running around sticking their hands in paint? 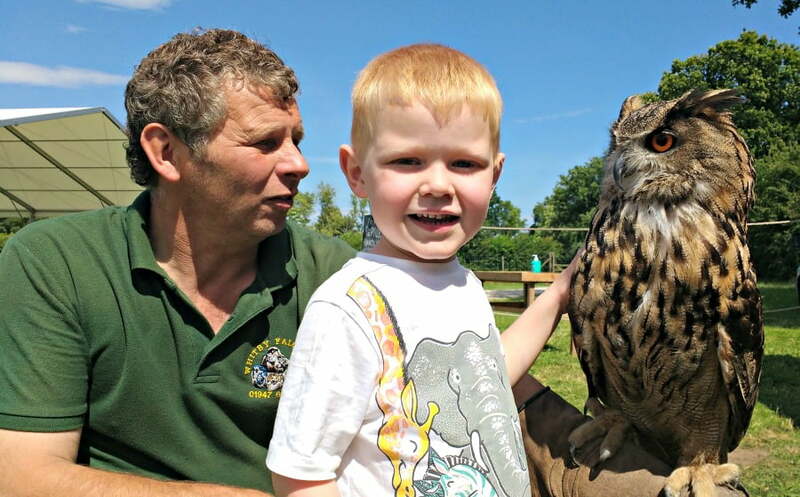 When we visited the York Maze, there was also some Birds of Prey and Reptiles from Whitby Falconry. As well as the flying demonstrations throughout the day, we had the opportunity to meet and hold these beautiful birds of prey. 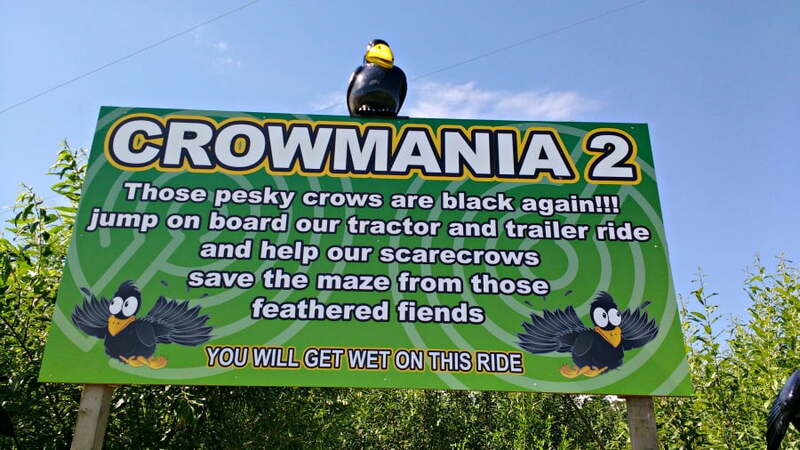 The Crowmania Ride was one of the highlights of our day. This interactive tractor journey takes you on a fantastically fun ride to find the pesky crows, and Crowman himself who has been keeping our hero, the Kernel, prisoner. With plenty of stops along the way, exciting characters popping up and being squired by water guns, the Crowmania Ride will entertain babies and toddlers of all ages. 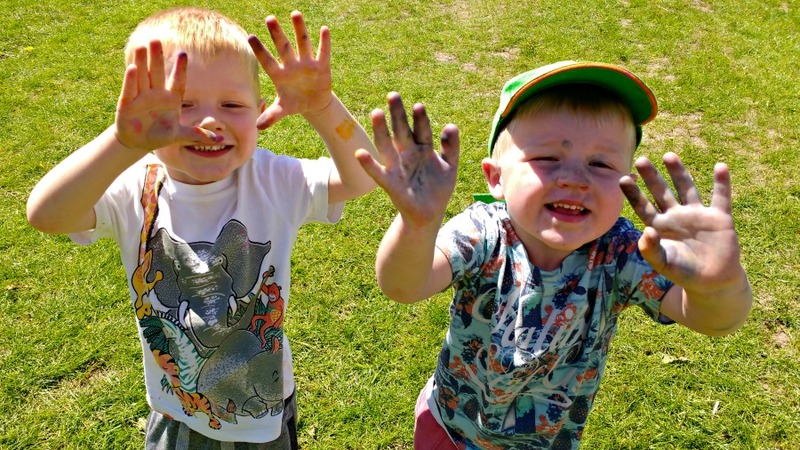 Top Tip – The Crowmania Ride is aprox 30 mins long so make sure you take your toddler to the toilet beforehand as there isn’t anywhere to stop off at once you get going! There is a buggy park just outside the ride. 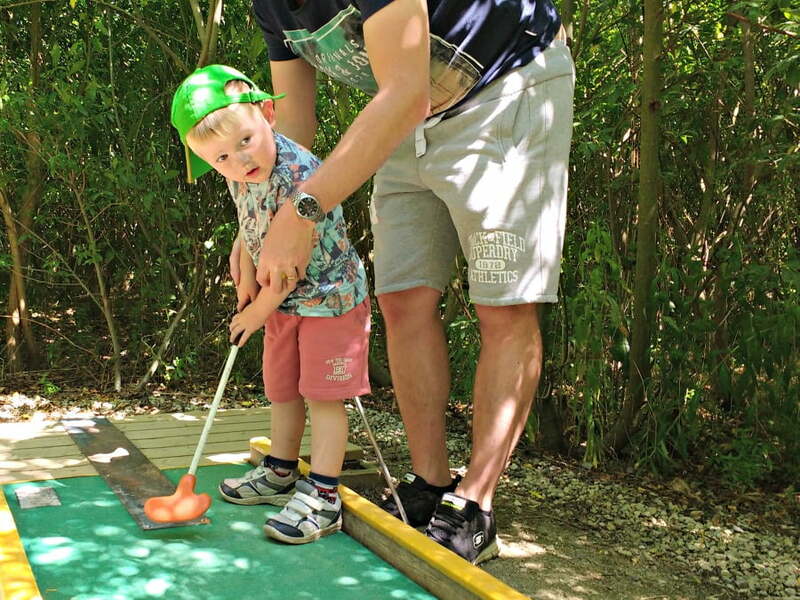 My toddler wielding a golf club was quite a scary experience, but he loved the opportunity to play crazy golf on a course leading through more Maze. Large and small plastic golf clubs and balls are provided. Toddlers can get arty with the paint pots and colours on the giant mural. Watching the toddlers do this was quite funny – some went to great extremes to keep inside the lines and were clearly putting a lot of effort into what they were doing. My toddler slapped a load of paint on and then fought with his brother about who could use the orange paint next! 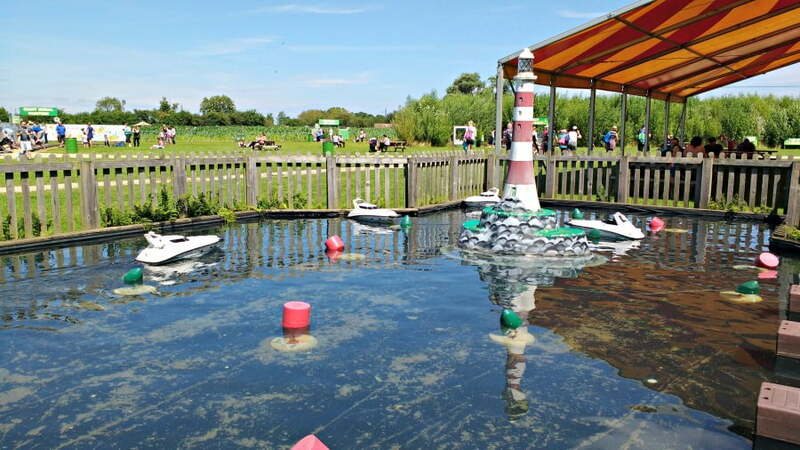 For £1 you can drive your own remote control boat around a little lake. Despite spending 6 hours at the York Maze, there were will some things we didn’t have time to do and see. We missed the Pig Racing which takes place 3 times a day. We missed Professor Percey’s Crowbot Show which takes place on the hour (apart from lunchtime). We also didn’t do the Maze of Illusions, the Cobstacle Course or the Quad Bikes. We took a picnic, and were pleasantly surprised to find loads of places to eat our picnic – both in the shade and out in the sun. However, I did take a look at the catering options at the York Maze and unlike some places I have visited, the food seemed to be high quality and reasonably priced. There was a Coffee Shop, the Kernal’s Kitchen and plenty of ice cream shops. 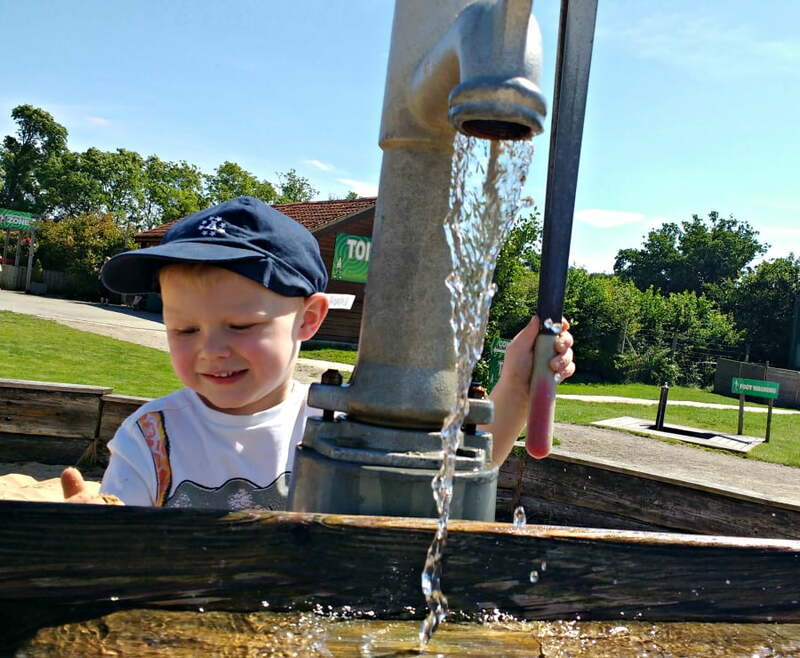 The York Maze – Toddler Friendly? One of our favourite days out last year and this year too – we will definitely be back next year too. 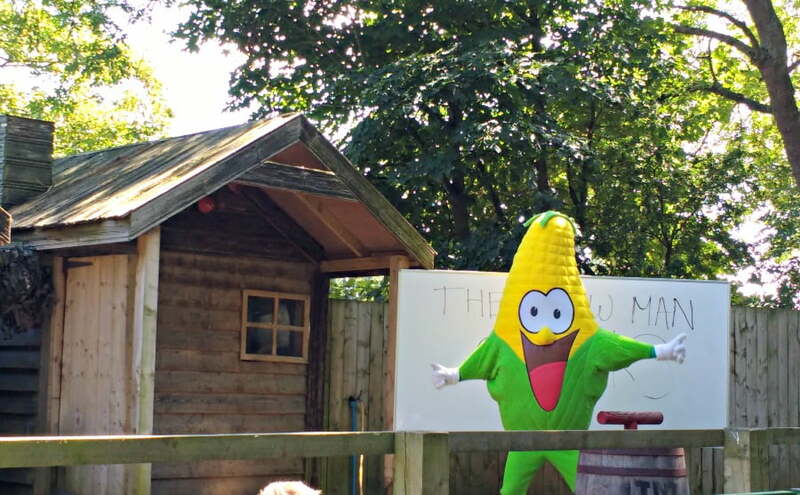 Opening Times – The York Maze is open 16th July to the 5th Sept 2016 inclusive. Costs – Adults – £14.50 on the Gate. Children – £13.50. Children under the age of 3 are free. You get a small discount if you book online in advance.